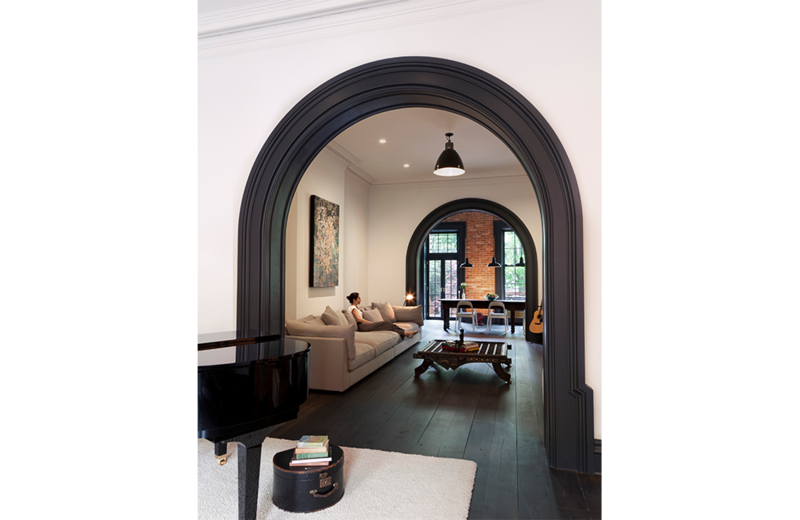 This townhouse was re-invented through a collaboration of an inspired client vision, and a creative architectural realization with MSA for a family relocating to New York from France. 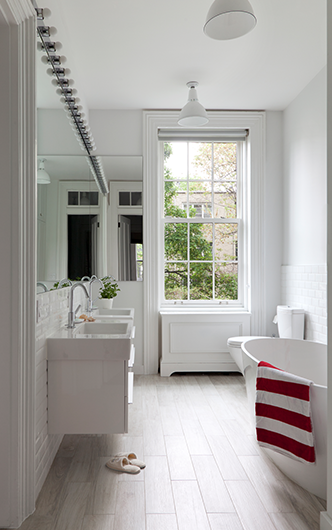 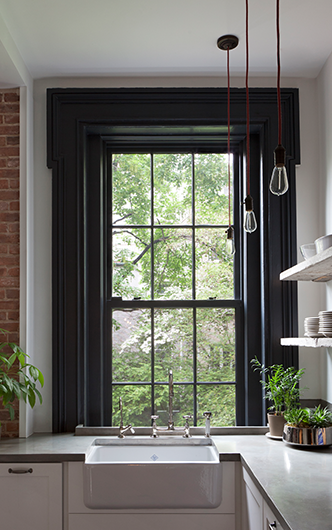 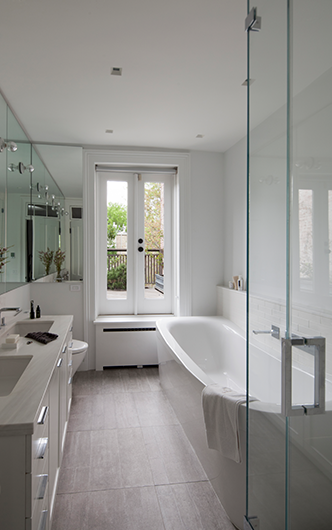 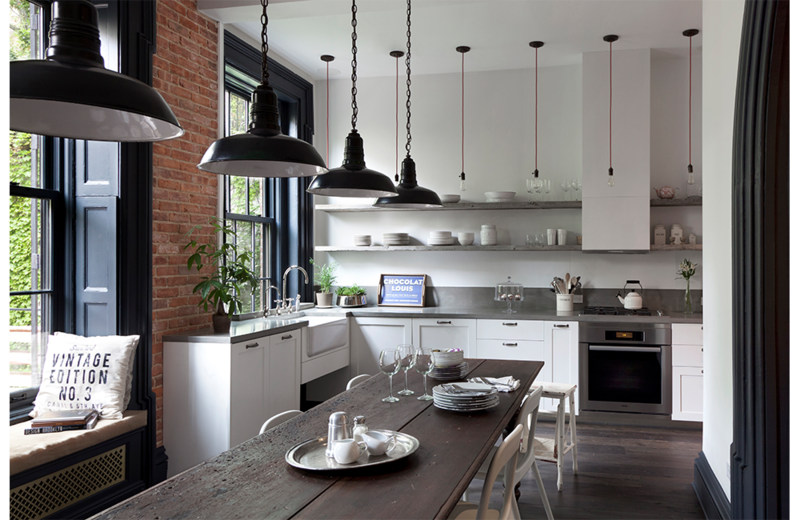 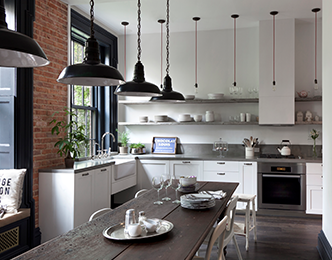 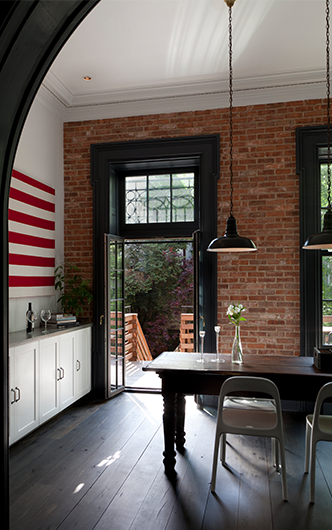 The renovation dramatically transformed a very traditional Brooklyn townhouse interior to reflect the Parisian couple's aesthetic sensibilities informed by their love of travel, art, and spending time with friends and family alike. 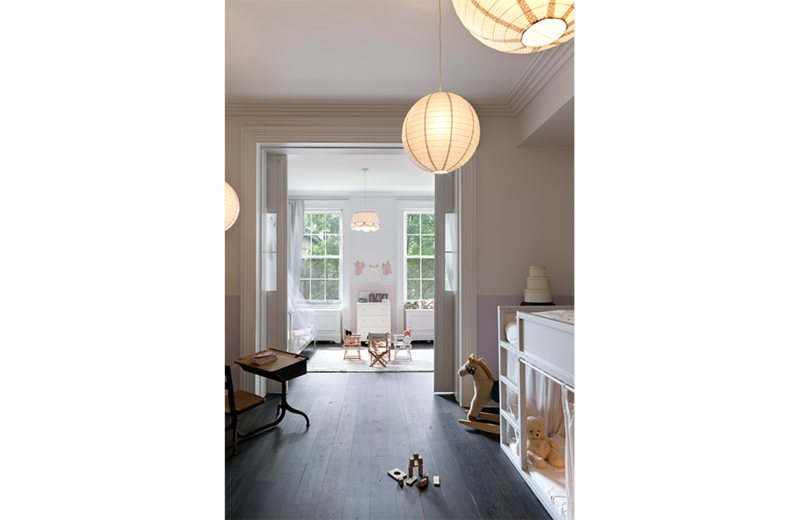 The result is a space that is both sophisticated and cozy, creating a sanctuary in the city for the young family's hectic schedules. 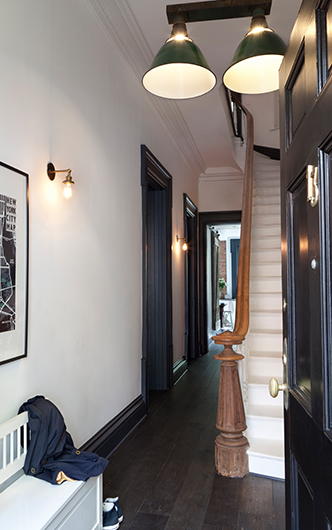 The guiding principle was the juxtaposition of old and new, exposing the natural wear and beauty of re-purposed materials. 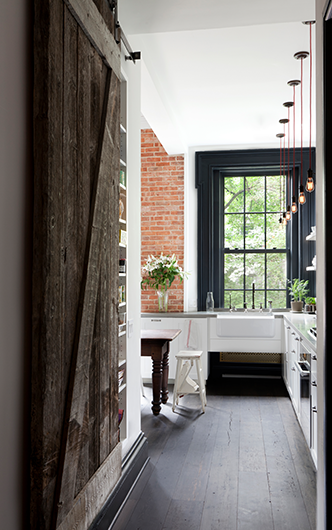 Reclaimed oak was used as cantilevered kitchen shelves. 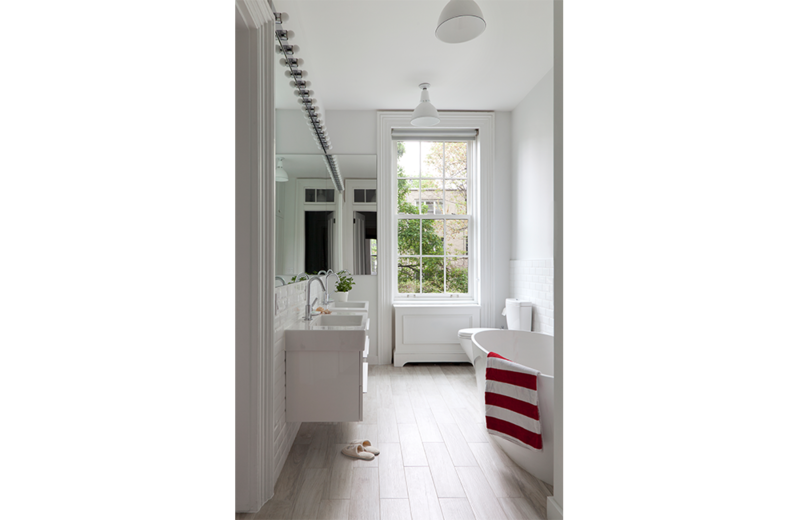 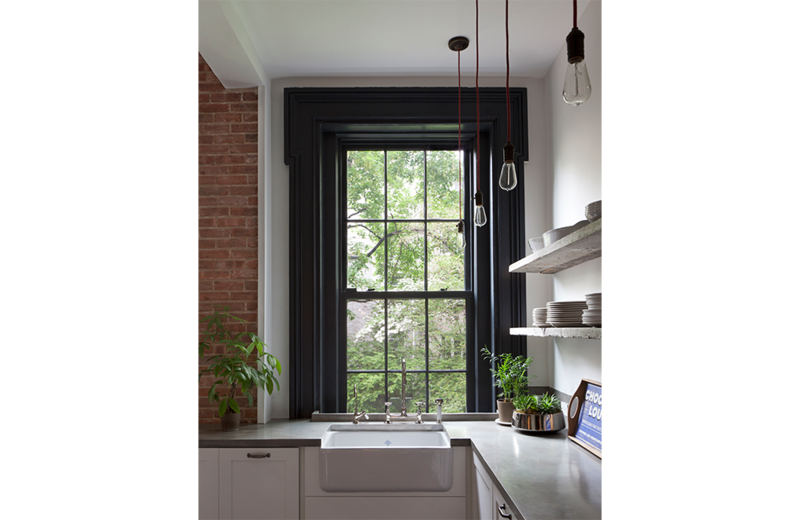 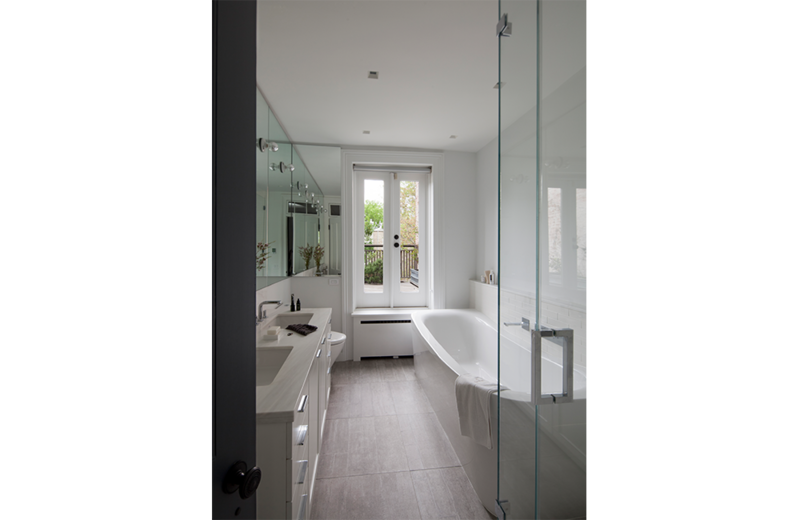 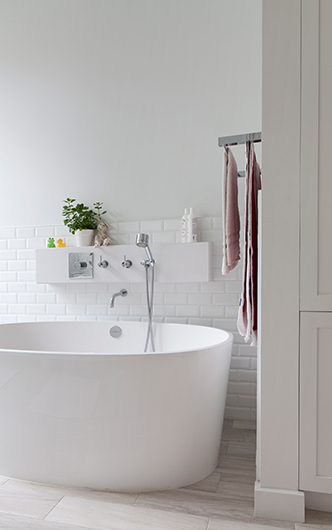 Additional reclaimed brick and wood were used throughout, and were contrasted with sleek minimal finishing materials in the bathrooms and kitchen. 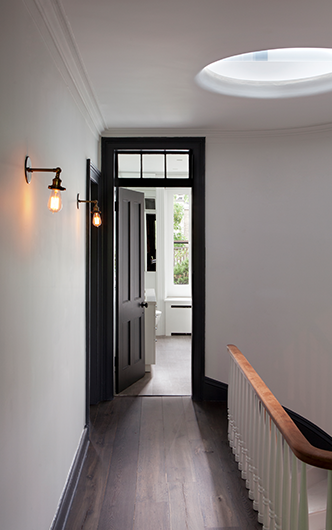 Dark gray painted woodwork added depth and complexity. 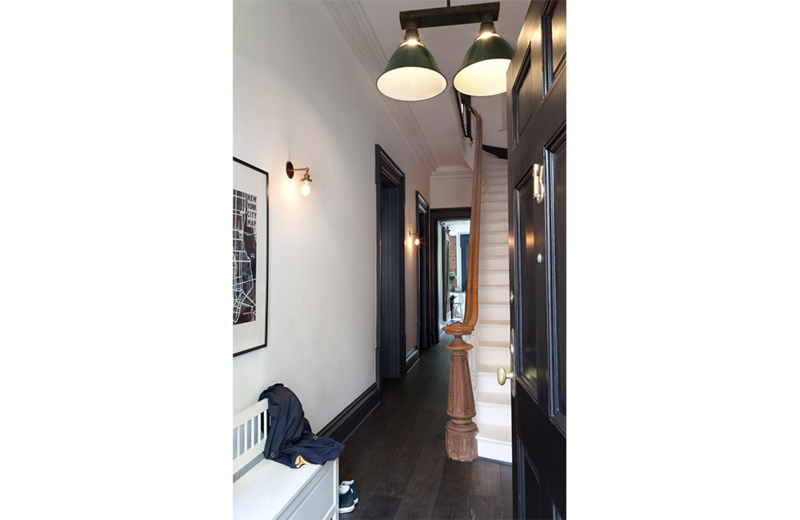 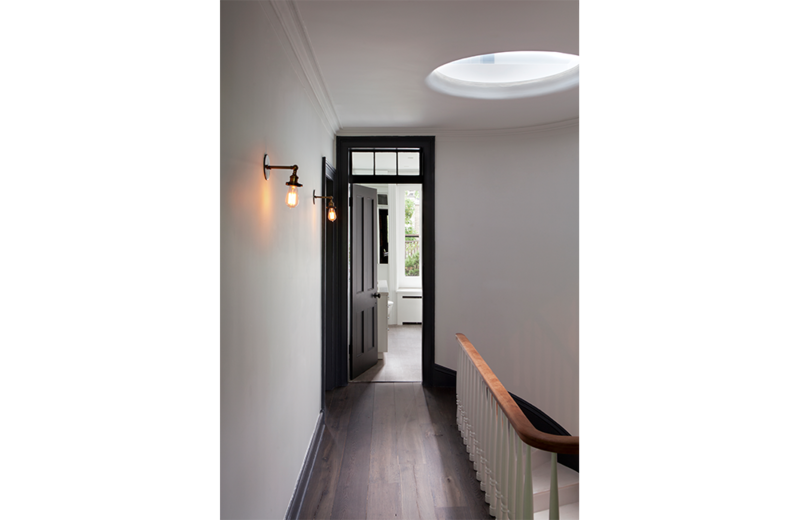 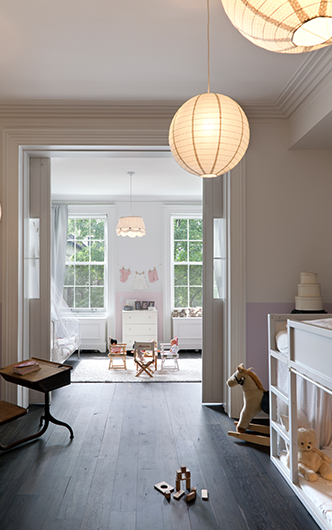 Natural and artificial lighting highlighted architectural details and underlined the experience of moving through the home. 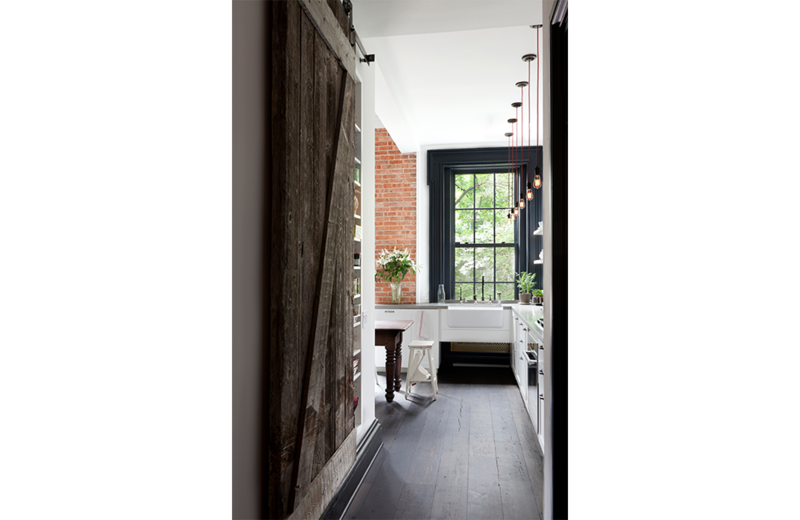 Pocket doors and sliding partitions were used in different ways throughout: in the kitchen, a reclaimed barn door hides a utilitarian pantry; upstairs, the kids’ rooms house large sliding partitions that open for play and close for homework; and in the media room, special details for sound attenuation allow for a variety of activities to happen at once.